We have found ourselves in the eye of a perfect storm. In pursuit of self-interest, our political leaders have failed us badly, and by so doing have tarnished the reputation of the country as a safe and sound investment destination. The corporate sector has registered phenomenal failures, hundreds of billions have been wiped off the capital markets. The nation’s savings have been looted in the public and private sector to the order of hundreds of billions. So, it is hardly surprising that so much distrust and suspicion of the establishment has emerged. This article is an edited version of Abedian’s keynote speech at the 2019 Raging Bull Awards Ceremony on 30 January 2019. F Scott Fitzgerald, the author of The Great Gatsby, could not be more proud of his impressive, if not prophetic, insights into the reality of the workings of the so-called American Dream — essentially characterised by a blend of crass individualism and crude materialistic pursuit. Fitzgerald’s depiction of the paradox of material accumulation and the quest for happiness has stood the test of time for well over a century. Much like the American Dream that crashed in the story of The Great Gatsby, in our contemporary financialised global economy, the modern-day dream of “The Financial Gatsby” is in the process of crashing ever so inexorably. Yet, in the meantime, the appeal of the financial sector razzmatazz the world over is almost irresistible. For the professionals involved, the promise of happiness in financial nirvana is dizzying, so the party should go on at all costs, and the faith in the dream should be kept alive. Much like The Great Gatsby, how he earned his money was irrelevant; the fact that he had it was important — and very similar in our times — it is the end that justifies the means for many actors in this sector particularly. The financial sector has become the playground for our contemporary “Financial Gatsbys”. In many respects, the financial sector has become the face of “predatory capitalism”. Rapid innovations, short selling of stocks, questionable scrip lending, combined with the ability to spread rumours and co-opt willing media reporters, supplemented with fake Twitter accounts while the regulators remain unable to keep pace — all make for exhilarating opportunities for fast and furious money-making at all costs! The world over, Financial Gatsbys are real. Their parties are as glamorous, their control over resources are considerable and restrictive, their decisions more often than not based on axiomatic beliefs, assumptions or rumours — and not on facts. And the more they follow the same template the less diversity and competition obtain. The markets move and fall together. As scholars of financial economics have pointed out over and over again, the more modern finance theory is used, the less risk mitigation is realised. Over time, the velocity of volatility rises and — from a systemic point of view — the dream heads for a resounding crash. For the predatory capitalists in the financial sector, the game plan is obvious: Much like in the story of The Great Gatsby game no one should know the facts, the flame of faith should be kept alive, the party must go on, and the music should never stop! In this milieu, presently, our nation is suffering the consequences of a decade of rising Financial Gatsby both in the public and private sectors. Our national savings, limited and inadequate as they may have been, have been looted and squandered on a massive scale. The asset management industry participated in the capital raising of the private and public entities, including the National Treasury’s bond issues, over the past decade. Whether on the equity investments or fixed income side of the financial markets, the fact is that hundreds of billions were channelled through this industry into the National Treasury, Eskom, Transnet, the African Bank, Steinhoff, Resilient Reit, Fortress Reit, NEPI-Rock Castle, EOH, NET1 and many other such entities. And, under the asset management industry’s watch, and I would dare to argue that in some cases with its participation, hundreds of billions of the country’s national savings were destroyed, a colossal sum stolen, and untold amounts of people’s life savings were subjected to the vagaries of the financial markets’ shenanigans. Interestingly enough, some of these shenanigans may even be legal, yet their adverse impact on social welfare is no different. The upshot of the past decade is a shattered dream, displayed vividly and in startling detail by the testimonies and evidences shared at the Zondo Commission. No doubt many more heart-wrenching and exasperating details will come out. As we know, the focus of the Zondo Commission is narrowly on State Capture. This process helps us to see clearly what our political leaders and their technocratic network within the machinery of the state have been doing with our tax revenues and with our savings, as obtained via the National Treasury’s bond issues and capital-raising. At the same time, with the help of the PIC Commission of Inquiry, presided over by Justice Mpati, we are getting some facts and insights into the manner in which asset managers in the PIC exercised control over the largest pool of the country’s savings. It is way too soon to reach any definitive conclusions. But early indications are that the asset managers in the PIC did not wrap themselves in glory. Without any doubt, many ethical lines were crossed, and fiduciary responsibilities compromised. I am aware that we do not yet have a commission of inquiry for the private sector financial institutions, or more broadly for private sector corporate practices. This may be a matter of time. My own humble view is that such an open inquiry is badly needed because we have seen a systematic erosion of effectiveness, credibility and legitimacy of the institutions of oversight such as FSCA (x-FSB), JSE, IRBA, SAICA and even the National Treasury. In part, this has been due to serious fault lines in the governing legislation and lack of political focus on the need for legislative alignment, suitable and competent institutional capacity, and sufficient financial resources for such institutions. The upshot of it all has been material damage to the functioning and reputation of South African capital markets. As it is commonly acknowledged, perceptions matter and reputation is critical in the financial and investment sector. The developments to which I alluded, and the details are already common cause in the public domain, call for urgent corrective actions. A systemic overhaul of the capital market legislative and prudential oversight infrastructure is required. Piecemeal reform or incremental amendments are unlikely to prove effective in restoring the South African capital market’s damaged reputation. The Financial Services Sector contributes more than 20% of the GDP of the country. More importantly, it controls well over 90% of the nation’s national flow of savings. Moreover, as at June 2018, the Financial intermediation, Insurance, Real-estate & Business Services was the sector with the highest number of company income tax (CIT) taxpayers (24.6% assessed) in respect of the 2016 tax year. This sector is the single largest contributor to CIT, accounting for 39.6% of the tax assessed in respect of 2016 (SARS 2018 South African Tax Statistics). So, this sector’s impact on the structure of the economy and the level of national welfare is disproportionally higher than its share of the GDP. Furthermore, by the virtue of its size and its structural and technical capabilities, the financial sector is one of the key sources of SA’s globally competitive and comparative advantages. Very few emerging economies have as sophisticated and capable a financial sector as SA has. Conversely, the depth and liquidity of our markets make us the bellwether proxy for emerging markets in general. So, it is a national imperative that we align the legislative framework with appropriate and effective oversight institutions that have the capability to do and to be seen to discharge proper monitoring and accountability in the sector. The rising complexities within the financial sector have reached an all-time high. A powerful blend of globalisation, financialisation of economic structures worldwide and digitalisation has transformed the financial sector itself. The emergence of cryptocurrencies is just one case in point. Significantly, there has emerged a marked decoupling of the financial sector from the real economy. And the process is not yet complete. Internationally the regulatory framework is out of sync with the workings of this key sector, and South Africa is no exception. Each of these forces at play, in turn, has a profound impact on the political economy landscape of society. Globalisation, for example, has entailed considerable benefits in development and global poverty alleviation, and yet some of its adverse side-effects have been neglected, leading to the prevailing backlash against socio-economic integration. Regressive forces have thus emerged to create a deeply flawed populist platform for a return to a world order defined by the supremacy of nation-states with mercantilist tendencies. Meanwhile, the expansive financialisation of economic structures has led to a systemic over-concentration of global wealth and control over investment resources. The resultant rising maldistribution of income has reached untenable levels, leading to the emergence of a range of social movements such as “1%-99%” or “Occupy Wall Street” and many other similar protest dynamics. To compound these political economy fractures, digitalisation has further placed unprecedented stress within the social fabric and unhinged the conventional power axis within the political economy foundation. Regional, cultural, racial, gender and inter-generational tensions have emerged as a result. And, this is only the beginning of the so-called fourth or fifth industrial revolution. The full implications of these developments for the asset management industry and the use of national savings are profound. Suffice to state that the prevailing global financialised capitalistic order is running into a gradual but inevitable halt. Asset managers have a pivotal role in exercising a principled and ethical judgment over the resources under their trusteeship. While it is true that the asset managers do not have full control over the entire system of governance, they nonetheless occupy a critical position to catalyse and or advocate for structural reform. In recent years there have been some symbolic — and at times ironic — changes in terminology and asset classifications. For example, terms such as “socially responsible investments (SRI)” or “Impact Investments (II)” have been introduced. Some investment houses even report separately on their various portfolios: Socially Responsible Portfolio, Impact Investments Portfolio, and the rest of the portfolio. Two features stand out immediately. First, the percentage of these “progressive investments (SRI & II) is negligibly small. Second, and as a corollary, the culture of “socially irresponsible investments’ or “low and/or no impact investments” still dominate the asset management industry. This issue needs serious and immediate attention. The tension between socially responsible and socially irresponsible strategic asset allocation needs to be resolved. This is not an academic debate, nor is it merely a debate that pertains to the investment exco, investment committees or chief investment officers. The subject matter has a deep and wide political economy and social welfare consequences. It is ultimately around a judgment call about the use of national resources. It culminates in a critical impact on the structure of the economy, the promotion or stifling of entrepreneurship, the level of poverty, unemployment and the socio-environmental system of doing business. It is a fact that the asset management industry exercises judgment over other people’s savings. In this regard, they have a profound fiduciary responsibility to safeguard the clients’ hard-earned funds on many fronts. Based on the recent revelations and corporate failures (such as Cash Paymaster Services, Steinhoff and others), it is evident that the asset management industry does not discharge this responsibility with the diligence that it ought to. And, more worrying, is some of the cases that even when they want to be seen to be doing something they engage in questionable and value-destroying conduct. I can attest to this particular aspect based on my own experience as the chairman of the board of directors of Fortress Reit Ltd. The manner in which some of the large and reputable asset managers in this country entered into a collective, potentially collusive and flawed process during August 2018, demanding a set of actions from the board was astonishing and disappointing. Importantly, here we are talking about the who’s who of the asset management industry in SA. (The signatories were: Coronation, Allan Gray, Investec, Old Mutual, Sanlam, PIC, Prudential, Catalyst, Mergence, and Stanlib Asset Managers) More startling was the fact that what they demanded to be done was legally problematic and certainly not feasible, never mind commercially sensible. No major audit firm or legal firm was prepared to consider what these “reputable asset management firms” wanted to be done. In essence, the collective capability of these active asset managers led to demand some highly problematic and compromising conduct from the board of directors of the companies that they addressed. It goes without saying that some of their concerns expressed were justified, but the manner in which they went about it to discharge their responsibilities on behalf of their clients left much to be desired. What made their conduct even more problematic was the fact that some in this group leaked their collective letter to Business Day simultaneously. As the chairman of the board I received the letter at the same time as Business Day. I had not even opened the attachment to the email when Warren Thompson of Business Day called me and pushed for comments and response to the asset managers. He did not seem to know or care that the chairman could not usurp the functions of the board and its committees. He was in a rush to secure a soundbite for a headline for the following day. What impact it might have on the company’s share price and what violation of corporate governance this might entail, was not his concern at all. Some of his collaborators in the asset management industry wanted to see the headline the following day at all cost. If it were not so tragic and so detrimental for the retail shareholders and pensioners, in particular, it would have been comical. Not only was this a poor and disappointing case of shareholder activism, but it was also a questionable mix of asset managers with potentially very conflicting motives. Bear in mind that in the mix of the “concerned shareholders”, you had “short sellers”, long-term institutional investors, fixed income investors, and a bank with active scrip lending business. In my view, it was a sad day for some of these reputable asset managers. Based on the evidence, it took them 15 days to secure signatures from all the 10 asset managers, yet they could not see the potential damage that they could cause to their own reputation, and the value of their clients’ investments. Be that as it may, the critical point to highlight is this: Shareholder activism is a serious and sacrosanct duty. The industry needs to discharge it systematically and with a great deal more care, honesty and consistency. It is quite evident that based on the gigantic corporate failures of recent years, the asset management industry is not discharging its shareholder activism suitably and consistently. No amount of grandstanding, empty posturing and public statements are a meaningful replacement for well-structured, effective and value-enhancing shareholder activism. Another major subject that needs urgent attention is the value chain analysis: Value generation and value appropriation between the investors and the asset management industry. Putting it bluntly and possibly controversially, at present the practice and the governing regulations are stacked up against the investors, be it in the asset management segment of the industry, or be it in the insurance and retirement ends of the market. The consumers are taken for a ride and the value generation in relation to value appropriation favours the asset management industry. The fees are too high, their admin costs are exorbitant and ultimately the net return to the investors is not only low, but also negligible in relation to the fees extracted by the industry. In most cases, when all said and done, more than 40% of cumulative returns over the life of the investment is taken away from the investor. Worldwide, there is a growing realisation that the asset management industry is in need of an urgent structural overhaul. Many acute tensions have arisen. Aspects of this overhaul are illustrated in the battle between the “passive” versus “active” investment managers. The growing pressures on fees, rapid adoption of big data analytics and machine learning in the asset management industry and many other developments point to the fact that the asset management industry is challenged to demonstrate value generation and re-examine value extraction. Of course, within the broader economy and society the question has to be asked: if the asset managers snooze on the job, if they pile in more and more of Steinhoff shares, NET1 shares or EOH shares or any other shares in pursuit of short-term gain, and lose so much on behalf of the clients and investors, should they not forgo fees and pay back the bonuses that they have undeservedly pocketed in the years before? Or more fundamentally, should not the fee and bonus structures be linked to the lifetime of the investor’s portfolio as opposed to making the investor the residual claimant after the industry has extracted much value from the investor’s portfolio over time? In South Africa, the consumers/investors are caught between an oligopolistic industry and a National Treasury which, at least over the better part of the past decade, been more preoccupied with political concerns than market regulation and policy alignment. As a result, the risk-return ratios and the value split between the industry and the masses of investors are unjustifiably in favour of the industry. This has a major socio-political outcome insofar as the patterns of income and wealth distributions are concerned. All said and done, this pattern of value extraction leads to further impoverishment of many retail investors. The masses, either directly or through their pension funds, lose out. South Africa is already one of the most unequal societies, and possibly the most unequal as pertains to income inequality. It can ill afford a situation where its biggest economic sector operates in a manner that systemically exacerbates poverty and inequality. The last, and not the least, the area that needs careful and immediate attention is the integrity of the broader governance and assurance infrastructure. The asset management industry relies heavily and critically on the quality and reliability of the audit and assurance services in the corporate sector. As is by now self-evident, the audit and assurance profession has found itself in a quagmire of poor-quality service and even unethical conduct. In this context, the recent revelations of a series of misconduct and governance failures by some of the major audit firms are of serious national concern. The failure of African Bank and Steinhoff with Deloitte as their auditors, the shambolic financial status of South African Airways and Eskom with PWC and SizweNtsalubaGobodo(SNG) as their auditors, the heist of VBS Mutual Bank with PWC and KPMG involvement, and of course the unprecedented failures of KPMG in connection with the notorious SARS Report and even more pitiful failures in connection with the Gupta Group of companies are cases in point. What is significant to note is this: In all cases of audit failure, substantial amounts of the country’s national savings are destroyed. It is immaterial whether such audit failures occur in the private or public sector or in state-owned entities. What is astounding has been the deafening silence of the asset management industry during the series of dramatic audit failure sagas over the past few years. By way of example, very few asset managers have put Old Mutual, Investec, Goldfields and others on notice for their continued use of KPMG or McKinsey or Bain & Co. How can such asset managers trust the Annual Financial Statement reports of these listed entities, rely on the information put out by them, and make a sound judgment when the quality of assurance services of KPMG is found wanting not only in South Africa, but also in London and elsewhere? This is particularly so when the asset managers have more than enough occasions to convey their positions to these listed entities during the roadshows and AGMs. After nearly three years of public revelations, social outbursts and company admissions by culprits such as KPMG, McKinsey and Bain & Co, the fact that these companies are still in business in the country is an indictment on the asset management industry. And, of course, by omission or inaction, the asset management industry becomes itself an enabler of poor governance. While the perpetrators of public corruption are rightly “named and shamed” in the public sector after due process, in the private sector the reputation of private company directors has, by and large, been shielded from public gaze and approbation. The principle of audit rotation, the cleansing of the corrupted audit and other professional services firms, should be non-negotiable matters for the asset management industry. Equally important is the promotion of competition via entrance into these professions by “black firms” in the sector. This is not only equity but also an efficiency imperative. As a nation, we have found ourselves in the eye of a perfect storm. In pursuit of their own self-interest, our political leaders have failed us badly, and by so doing, they have tarnished the reputation of the country as a safe and sound investment destination. As if that were not bad enough, the corporate sector has also registered some phenomenal failures, hundreds of billions of rands have been wiped off the country’s capital markets. The nation’s savings have been looted in the public sector and in the private sector to the order of hundreds of billions. So, it is hardly surprising that so much distrust and suspicion of the establishment has emerged. To rebuild the country’s capital market reputation, we need to embark on a systemic revamp of the legislative, operational and technical platforms, making sure of full alignment and effective accountability. The industry needs to proactively partner with the state to accelerate this much-needed reform. In turn, the state needs to demonstrate the ability to appoint effective and impartial regulators. Most fundamentally, the asset management industry needs an ethical overhaul — from the unfettered pursuit of monetary self-interest to more balanced value creation and stewardship on behalf of clients/investors. If this pivotal, yet untransformed, industry refuses to change, it might well find change thrust upon it. The financial sector is far too important for SA’s developmental requirements. Its key players, therefore, need to guard against predatory capitalistic behaviour. There are some evident and destructive fault lines in the system at present. Corrective action cannot, and should not be delayed. 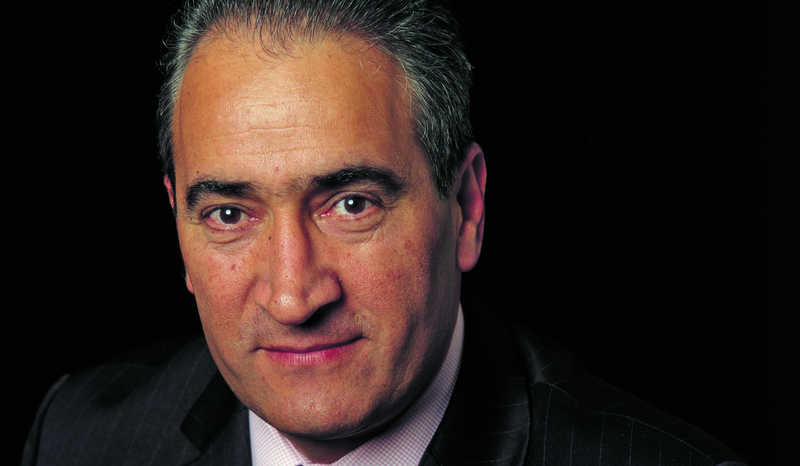 Iraj Abedian is Chief Economist at Pan-African Investment & Research Services.